WHY GO: Adam Sandler. Seth Meyers. Sarah Silverman. 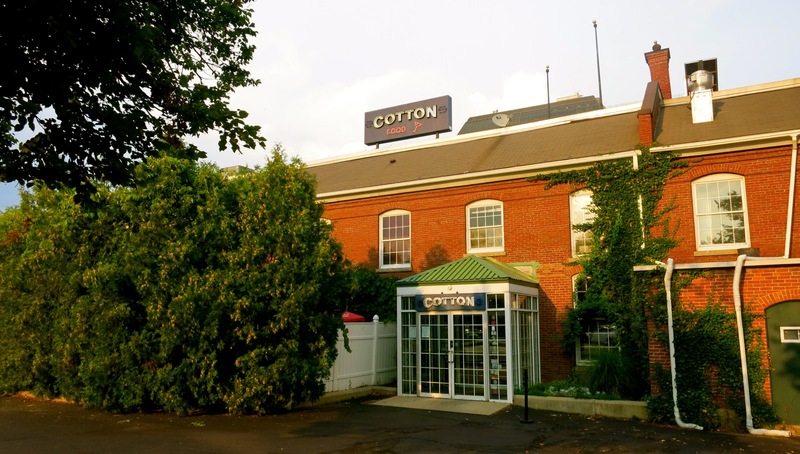 Why is it that Manchester, NH, a former textile mill town, was the hometown of so many cool comedians? What is it about this up-by-its-own bootstraps city that attracts entrepreneurs and innovators? Manchester, The Queen City, is a town built on self-sufficiency and community spirit. Its first canal was funded through lottery tickets. When textile mills failed, local banks and businessmen stepped in to purchase and repurpose them. The American Credit Union was founded here, and small business owners are still following dreams and making it big. But Manchester as a tourist destination? Yes, and here’s why: exciting museums (one with the best Lego assemblage in the world), one-of-a-kind chocolates, wineries and breweries, two Frank Lloyd Wright homes (one open for tours), fantastic restaurants, and a great B&B. Read on. TOUR: Anheuser Busch Merrimack Brewery, Merrimack. Budweiser beer is still brewed the same way it was back in 1876, when two German immigrants created a unique, American style beer. 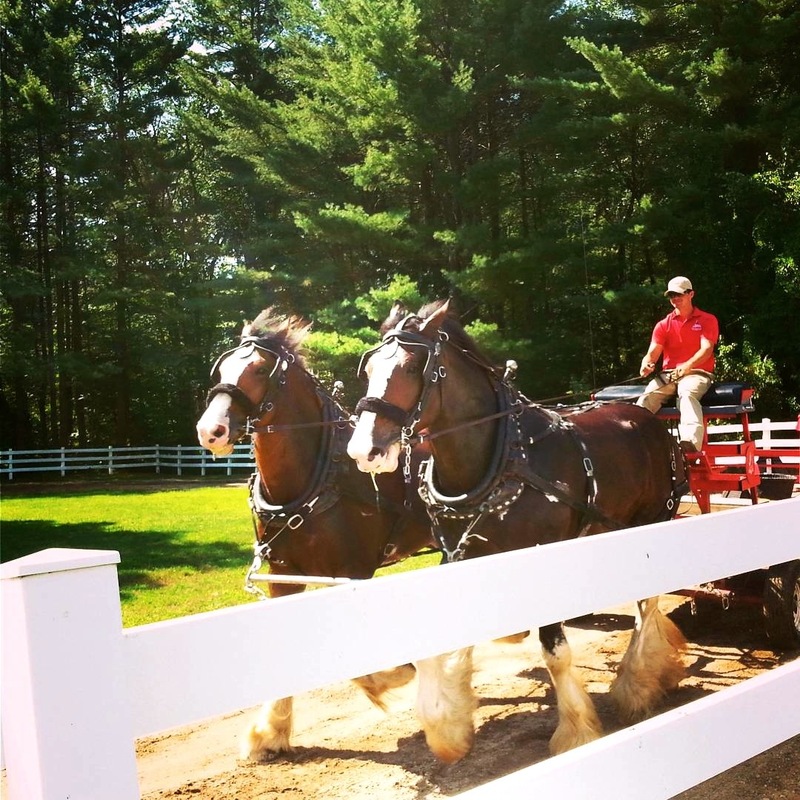 Though this is one of A-B’s smaller breweries (generating 3.1 million barrels/year for New England consumption vs. 15.8 million barrels/year at its main plant in St. Louis MO), New Hampshire is home to the largest number of those behemoth Clydesdale horses, and you can see them, in stalls and while training on several tracks, whether or not you take a tour of the brewery. Though a one-hour tour is free, I’d recommend the “Day Fresh Tour” ($10), which adds on a pint drawn directly from a towering tank, and a souvenir glass to take home. You’ll learn about the history of Anheuser-Busch, about the beer-making process, and the fact that Bud Light, America’s most popular brew, actually contains more alcohol than regular Budweiser. Open 10-5 daily. TOUR: America’s Stonehenge, Salem. What makes this 110-acre grouping of boulders and rock wall ruins “America’s Stonehenge?” It’s not so much that it looks like its namesake in the UK, but that, like the English Stonehenge, its larger stones dating back 4,000 years were apparently used to observe solar and lunar alignments. Purchased in 1955 by the appropriately named Robert E. Stone, this mysterious property in Salem NH is now run by the family’s third generation and is listed as a State Historic Site. 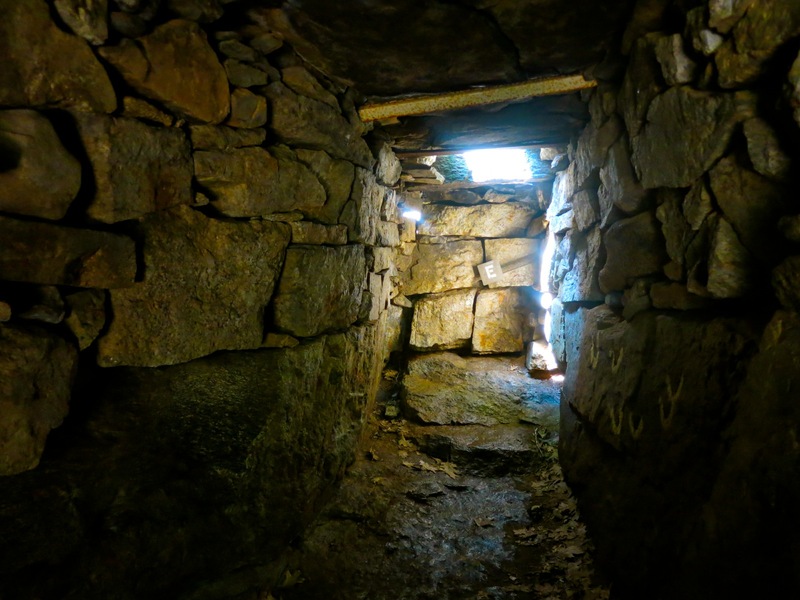 Though the entrance and some of the signage is a bit kitschy, there is no denying that these criss-crossing walls and structures made of rocks hewed by prehistoric inhabitants are somewhat puzzling. Archeologists from the most elite universities continue to study this place. Wear sturdy shoes – there are lots of roots and stones on well-marked paths. Plan at least an hour to walk from the Visitor’s Center about a mile out, around and back from the ruins. Check website for solstice rituals and candlelight snowshoe tours. Open 9-5 daily, $12. VISIT: Currier Museum of Art, Manchester. Built in 1929, this eclectic museum holds a wealth of art and artifacts – with a concentration on New Hampshire furniture makers. The first classical building is flanked by contemporary additions, the latest called the Winter Garden, enclosing the original front entrance and incorporating a lovely café. You’ll find a bevy of New England artists – Gilbert Stuart, John Singleton Copley, Augustus St. Gaudens, Grandma Moses – and modern art’s usual suspects – Rothko, Calder, Hopper, Wyeth, along with conversation pieces like Jon Brooks blue tinted curly maple bench and “The Family” – a sculpture by Marisol Escobar that was on the cover of Time Magazine in 1970. Wed-Mon 11-5, open 10am Sat, Free tours with admission 1pm. TOUR: Zimmerman House, Manchester. 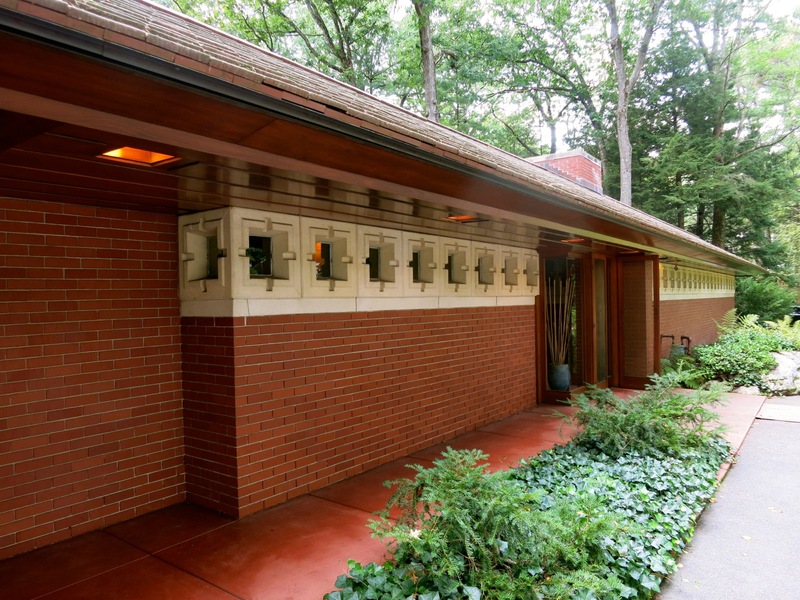 This is the only Frank Lloyd Wright house in New England open to the public, and a prime example of his Usonian style design; a small, single-story precursor to the “Ranch” home meant for middle-class living. Built in 1950 for Dr. Isadore and Lucille Zimmerman, they were the only owners of the home for 36 years and lived, died, and are buried here – rendering this property one of the most intact, originally conceived FLW designs in the country. The Zimmerman’s discovered Wright while researching architects for a home in the park-like section of Manchester’s North End, stumbling on a book about him in the local library. Though forward-thinking for the time, Wright’s philosophy about integrating living space with nature intrigued the Zimmerman’s, so they visited the great architect in Wisconsin and it was there that Wright sketched out plans for the house. Though Wright never set foot in Manchester, he did dispatch his construction supervisor, John Geiger, who oversaw the building of this 1,700 square foot home that sits diagonally on a one-acre lot. Its fortress-like front gives way to floor to ceiling windows overlooking gardens in the back. While everything inside was designed by Wright– including built-in seating that runs the length of the living room, galley kitchen, small bedrooms, a carport -this home is more elegant than most. White area carpets soften the living room, rust and yellow upholstery shimmer with metallic thread (funky fabric chosen by Wright’s daughter in NYC), and a grand piano, a quartet stand (Dr. Zimmerman was also a musician), and shelves showcasing African Art are exactly as the Zimmerman’s left it. 1 ½ hour tours begin at the Currier Museum of Art, and sell out far in advance, so it’s imperative that you make reservations early. April – Dec. Thurs-Mon 11:30am and 2PM $20 includes van transport and museum admission. VISIT: Millyard Museum. Manchester has been an innovative city from its inception. Denim for Levi Strauss was made here and shipped to San Francisco. In 1958, Velcro Industries moved to Manchester (and is still headquartered here). 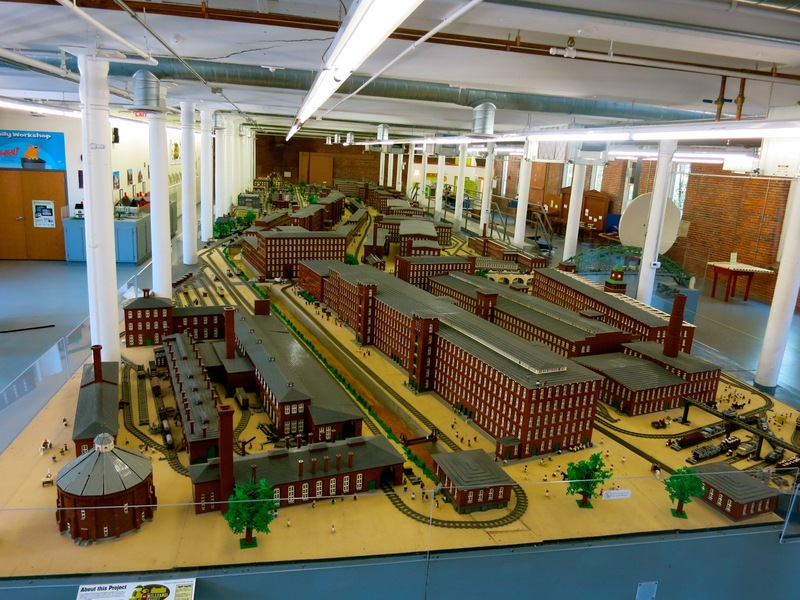 There is no place that tells the story of Manchester better than the Millyard Museum, housed in the very complex that put The Queen City on the map. 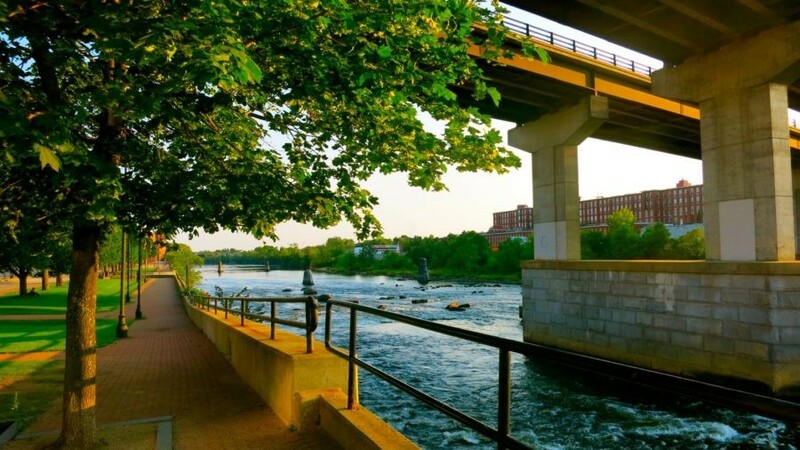 During the pre-Colonial period, Native Americans camped on this river for its abundance of fish, tired out from their swim upstream, at the base of the Amoskeag (“Place of Many Fish”) Falls. In 1802, a canal funded by money raised from the sale of lottery tickets was built to harness the power of the falls, and by the mid 1800’s the raging water powered hundreds of looms in textile mills that ran a mile along the river like a redbrick fortress. For decades, the Amoskeag Mfg. Co. was a benevolent employer, providing mill workers with homes and parks. But in 1922, the company cut wages and increased the workweek, leading to low moral and strikes. Then came the double-whammy of Christmas eve, 1935, when the company went bankrupt – putting 17,000 people out of work on the worst possible day – and a devastating flood three months later that damaged the buildings, seemingly beyond repair. However, when an outside interest offered to purchase the vast property for $5 million, the local community gathered together for a “Save Amoskeag Drive,” raising $500,000 in ten days to take the real estate off the auction block. When a NY firm then offered $7 million, locals turned down the quick profit in order to retain ownership of the mills, selling buildings piecemeal to diversified industries. One was a tannery, and here’s a strange factoid: in 1957, Amoskeag Mills suffered the only outbreak of inhalation anthrax in the USA – thought to have traveled to the US in goat hides from Greece. Several people died. The whole building was demolished. By the 1990’s, the area had deteriorated once again. Enter Dean Kamen, developer of the Segway (and FIRST Robotics Competition), who viscerally felt the legacy of the mills, bought them up, and refurbished many. Still on the cutting edge of innovation, Kamen’s company creates prosthetics and robotic wheelchairs for the military, and is working, like many businesses and University outposts in the Millyard, on the next best thing. The Millyard Museum is currently tough to find, with no signage. Enter 200 Bedford St. and you’ll find it on the second floor. Open Tues-Sat 10-4, $8 adults, $4 kids. 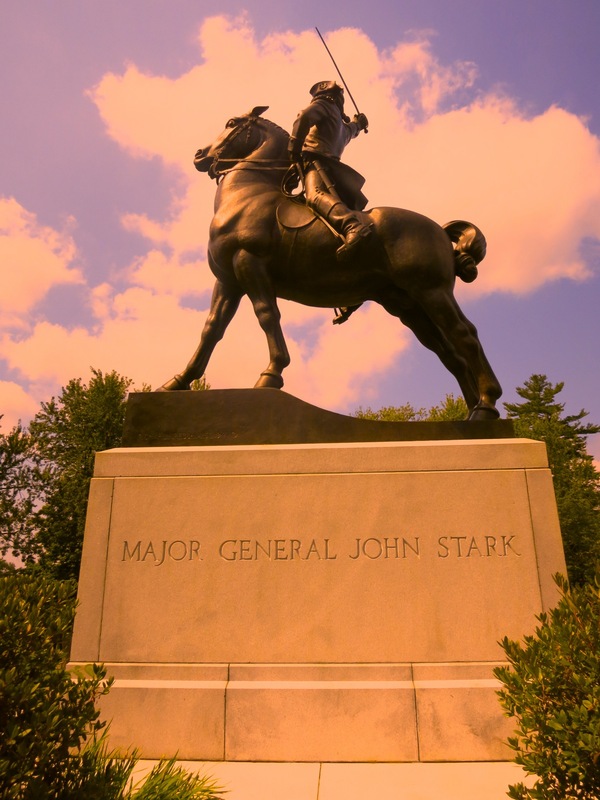 VISIT: John Stark’s Gravesite in Stark Park. Revolutionary hero, General John Stark (1752-1822), coined the phrase that lives on as the New Hampshire motto: “Live Free or Die”. Written as a dinner toast, the phrase continued – “Death is not the worst of evils.” The beautiful gravesite and statue sits in renovated Stark Park, about a mile from the Millyard. 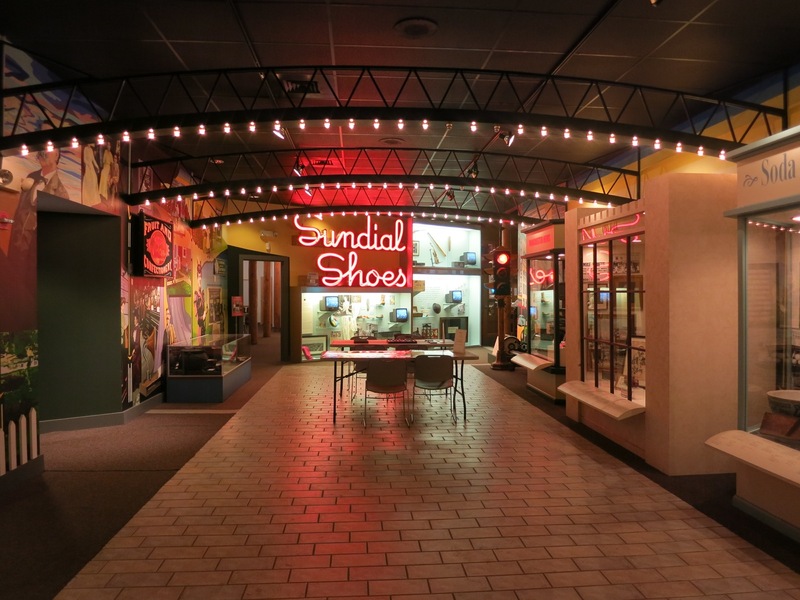 VISIT: America’s Credit Union Museum. Manchester NH is known as The Birthplace of America’s Credit Union.” Smirk if you will, but this museum, an homage to the USA’s First Credit Union opened as St. Mary’s Bank in Manchester NH in the early 1900’s is an intriguing look at the triumph of membership-based banking over profit motive. In the early 1900’s, over 30,000 French Canadians came to Manchester to work in the mills, and pray at St. Mary’s Church. 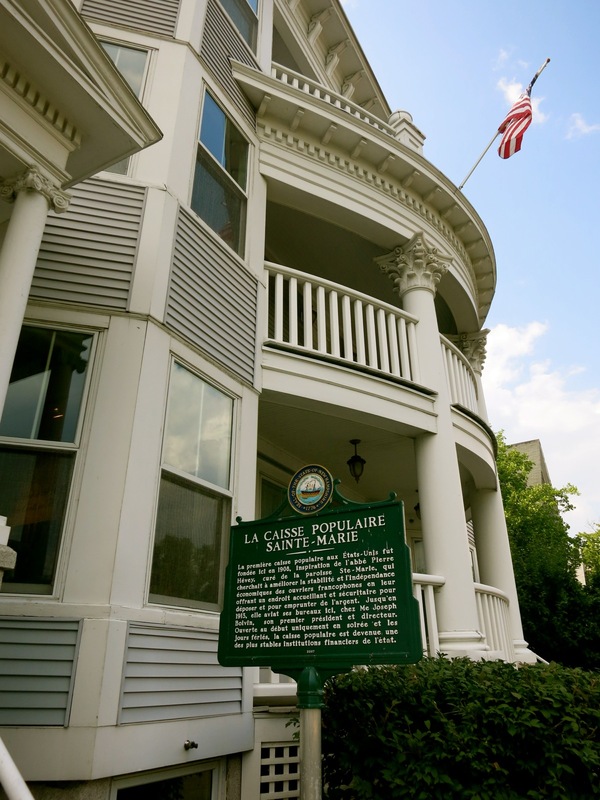 Local banks, owned by shareholders, did not cater to the laborer, especially those who spoke only French. This type of membership-owned banking was so rock steady, not one Credit Union failed during the Great Depression. Though the museum is stocked with papers, posters and other memorabilia relating to Credit Unions, my favorite object is a black iron safe with cash drawer and file cabinet inside – found in a barn – grass roots banking at its best. Most amazingly, both St. Mary’s Church, and St. Mary’s Bank continue to thrive nearby. Open Mon, Wed, Fri 10-4. Donation accepted. SEE: See Science Center, Manchester. Even if you’re not into Lego’s, you must come to the See to see the “World’s largest permanent installation of mini-figure sized Legos in the world.” It took two Master Lego Builders and hundreds of volunteers, using three million pieces, over three years (ten thousand “build hours”) to complete the Millyard, City Hall and Manchester’s parks, circa 1905. There’s running water through canals and pipes, a working trolley and plenty of vignettes to keep eagle eyes busy for hours. The 2,100 sq ft installation is so unique, the President of Lego flew over from Denmark for the opening. The See has 80 interactive exhibits, incorporating pulley chairs, optics, bubbles, robotic arms, a simulated “moon walk” and plenty more for hands-on “Do” science. $8, Mon-Fri 10-4, Sat and Sun 10-5. VISIT: Amoskeag Fishways, Manchester. Follow the painted fish on the walkways from the parking lot (near LaQuinta Inn), all the way down the hill past a sloping series of concrete tanks. These are fish ladders, and if you want to see trout, bass, carp, salmon and other fish frantically attempting to “swim upstream,” come in May and June when the ladder comes alive with splashing, jumping fish. Other times of year, stop in to the small but fun Visitor’s Center, with exhibits focused on the Merrimack River right outside: this is the closest you can get to the river in Manchester. Even if the fish are not jumping, come for the brand new Kinetic Sand “Build A Watershed” – an interactive, computer generated and hand-manipulated “augmented reality” watershed in a sandbox. I could have played with it for hours. Open year round Mon-Sat 9-5. May and June daily 9-5, free but donations happily accepted. SHOP: Dancing Lion Chocolate. When is a chocolate shop more than a chocolate shop? When it doubles as a chocolate-art gallery. Dancing Lion defies classification. To say that it specializes in the world’s best and esoteric cacao and offers architectural and textural tiles and bars of chocolate the likes you’ve never seen before does not do it justice. There is just no other place like it. 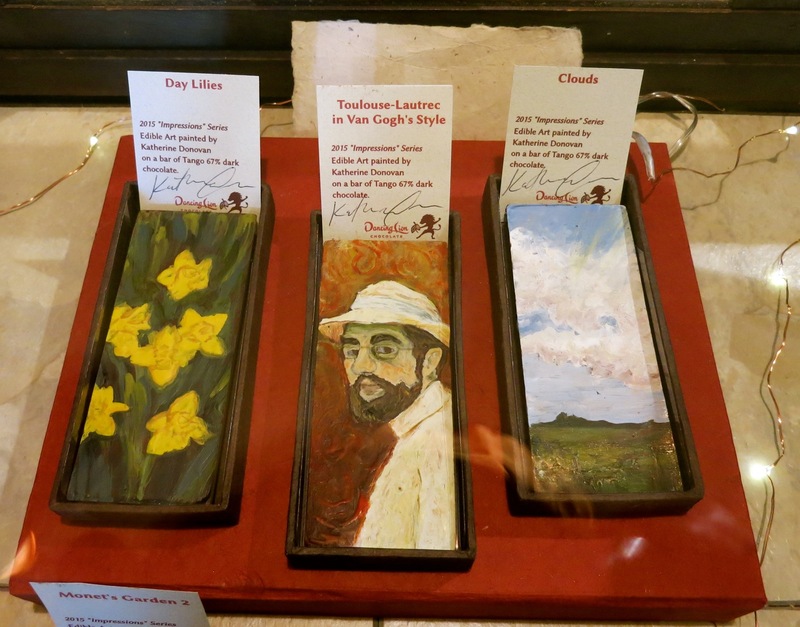 Though you may not want to eat the bronzed reliefs, or Monet painted bars, “we do expect people to eat it,” says owner Richard Tango-Lowy, a physicist in his former life, until the chocolate bug bit him. Now, Tango-Lowy and his genius crew make limited edition runs (20-200 pieces) of exquisite bites and bars, incorporating fruits, spices and even color into the creations. 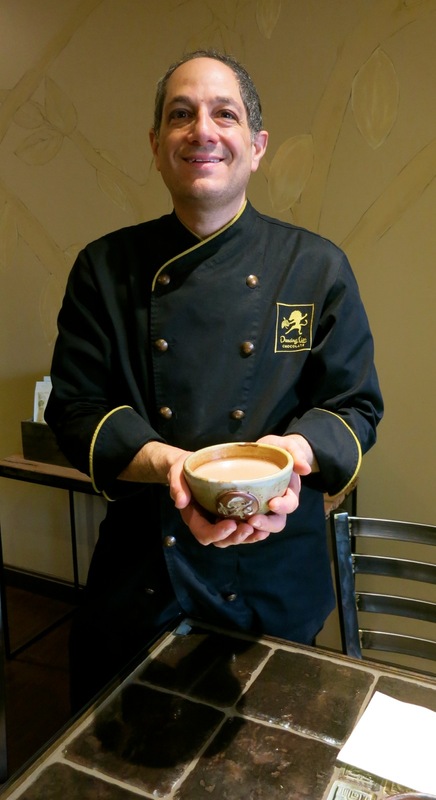 Tango-Lowy runs an intense 4-day professional chocolate prep course, and other daylong classes for the curious. Bonbons $3.50 each, bars start at $10. TOUR/TASTE: LaBelle Winery, Amherst. This woman-owned winery/bistro/shop/crucible of ideas proves that hard work, intelligence, guts, and a strong leap of faith can result in a stunning culinary destination. I’d go so far as to say that LaBelle is the most compelling destination winery in New England. Amy LaBelle was a practicing lawyer when she took a long drive across the country and, in a California winery “had an epiphany”- a powerful feeling that “this is what I should be doing.” Having never made wine before, LaBelle became “wine obsessed.” By 2001, LaBelle concocted the first gallon in her kitchen and started to expand. As testament to LaBelle’s ingenuity, LaBelle turned an overabundance of hot peppers in her garden into a new line of culinary products called Winemakers Kitchen. LaBelle fermented the extra peppers, creating Jalapeño Cooking Wine – introducing a no-sodium alternative to those currently on the market. The Cooking Wines line shelves filled with other condiments and spices – all with the Winemaker’s Kitchen label. Amy and her husband, Cesar Arboleda, now preside over the largest winery in New England (by volume), turning 80,000 gallons/year into 31 different wines. They recently purchased 11 acres with a popular sledding hill and went to pains to leave the popular slope as is – offering hot chocolate to sledders in wintertime. Other acreage is devoted to seven grape varieties and a vegetable garden. You can join a Yoga class, hear Health and Art Series lectures, and dine on wonderful garden-to-plate cuisine in a space that overlooks the wine production room (see where to eat below).The Dry Apple and Heirloom Apple Wines go perfectly with Grafton Cheddar Cheese, but my favorite is the Seyval Blanc, not well known but imminently drinkable. Open 11am-9pm, tastings $8 for 5 wines, $13 for 10. EAT/BREAKFAST: Dancing Lion Chocolate. Scarf down one of the most popular street foods in San Juan – the Mallorca – a sugar dusted sweet roll stuffed with ham, local cheese, and a “splash of maple syrup.” Wash it down with pure hot drinking chocolate from a soup bowl (no handle), and you’ve got a breakfast that will be inscribed in memory. EAT/LUNCH/DINNER: La Belle Winery. 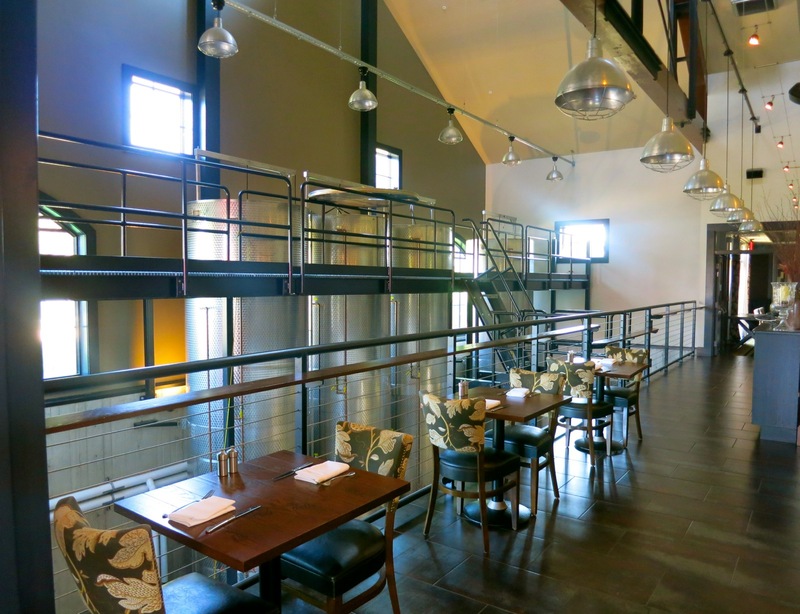 Dine overlooking 23 ft. 3,300 gallon steel tanks and the business of wine making in this contemporary winery, store and bistro. Food is from the ground fresh, made in a “scratch kitchen” and is worth the 20 minute drive from downtown Manchester. 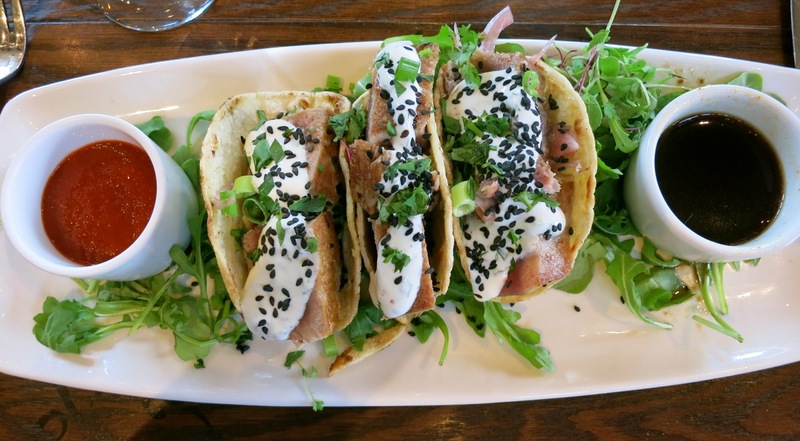 For lunch, try the incredibly delish Ahi Tacos ($12), wraps ($11) or burgers and salads. Dinner includes Rack of Lamb ($27), Statler Chicken ($21), and Prime Sirloin ($32), accompanied by the perfect wine, natch. 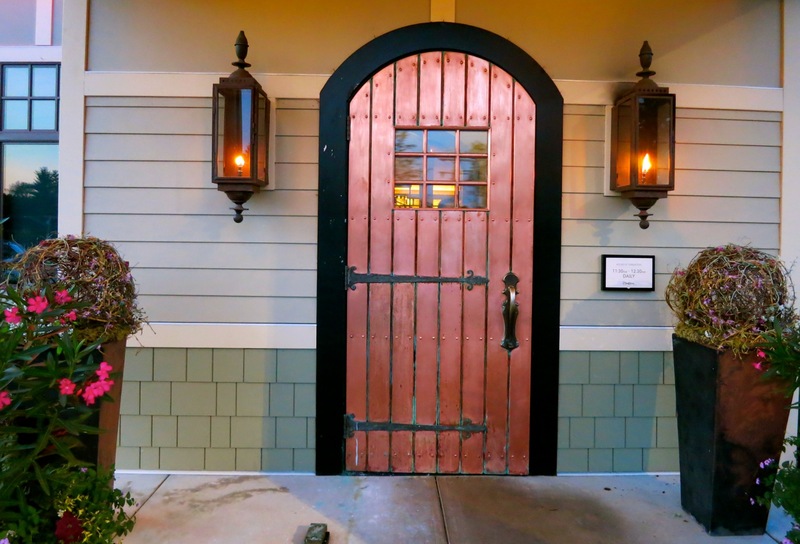 EAT/DINNER: Copper Door. A few miles from downtown, the nondescript exterior put the fear of “chain restaurant” in me before I pushed open that gorgeous copper front door and entered a stylish room with soaring beamed cathedral ceiling and vibrant modern landscape oil paintings. Cuisine is “innovative” American Pub, or what they call “Approachable New American” – with BBQ “Porky” Tots ($8), Duke Bourbon Bacon Beef Tips ($29.50), Buttermilk Fried Chicken ($21), and other amazingly good coronary disruptors prefaced by Savory Monkey Bread – a pre-dinner take on the sweet version. EAT/DINNER: Cotton, Manchester. Part of the riverfrtont mill-repurposing project, this hot restaurant, its name a nod to its previous life as a cotton warehouse, is busy all through the week – even at 6pm on a Tuesday night. Offerings are good and of the trendy sort: Asian Pot Stickers ($8.95), Blueberry Kale Salad ($7), Almond-Crusted Turkey Schnitzel ($16.95), and a Tomato, Corn and Arugula Salad lightly dressed and fresh as a summer’s eve. 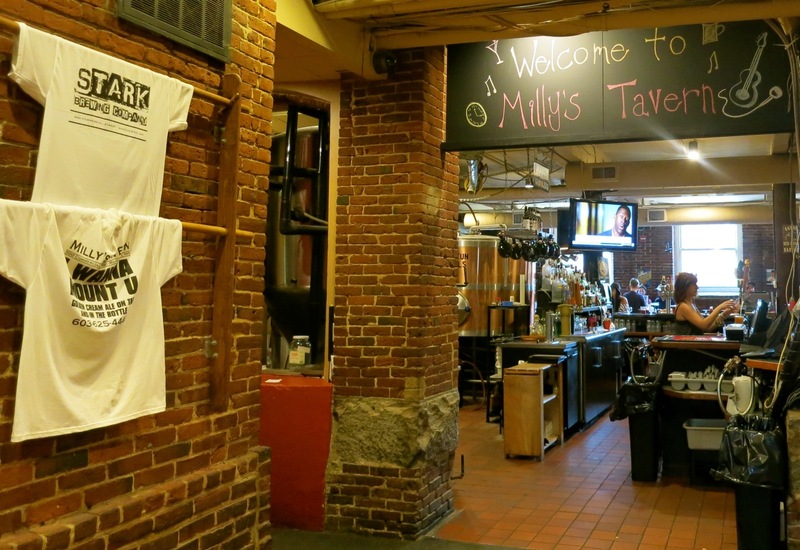 EAT/DRINK: Milly’s Brewery/Stark Brewing Co. Peter Telge opened New Hampshire’s second brewery back in 1994 downstairs in the 1881 Stark Building – a former picking mill. He doesn’t advertize, but thousands of out-of-towners seem to find this rather hidden place anyway. Known for its Oatmeal Stout and Pumpkin ales, Milly’s offers 19 “cask-condition” beers on tap and pretty typical pub food. Fried Chicken Tenders, however, are wonderfully and uncommonly tender. EAT: Red Arrow Diner, Manchester. This so-classic-its-retro diner is considered the “epicenter of the political world,” having hosted nearly every politician on the campaign trail for decades. Food is diner good, though you’ll get your fill just gazing at all the pictures on the walls. EAT: Republic. Locals love this ethnic mish-mash of a place where you’ll find Steak Frittes ($23), Spanish Meatballs ($7) and Falafel plates ($8) sharing the menu. According to one amiable bartender, Republic bar-none, makes the best Dark & Stormy drinks. DRINK: Speakeasy 815. Find the daily password on Twitter, then speak it easy into a phone in a phone booth (upstairs from Piccola Italian) to gain entry into this dimly lit haven of cocktails. STAY: Ash St. Inn. 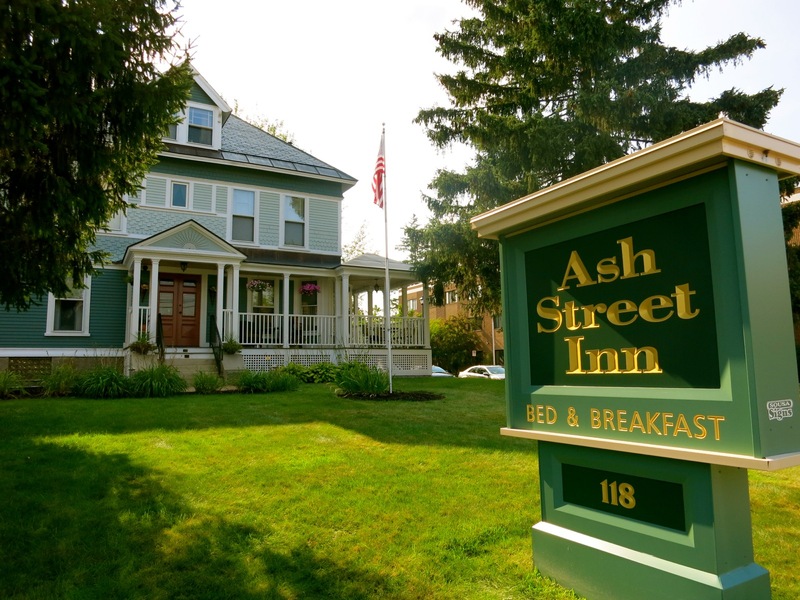 Manchester has plenty of chain hotels, but only one B&B, and fortunately the Ash Street Inn has so much to recommend it. Read the Getaway Mavens full overview here. What a wonderful article! 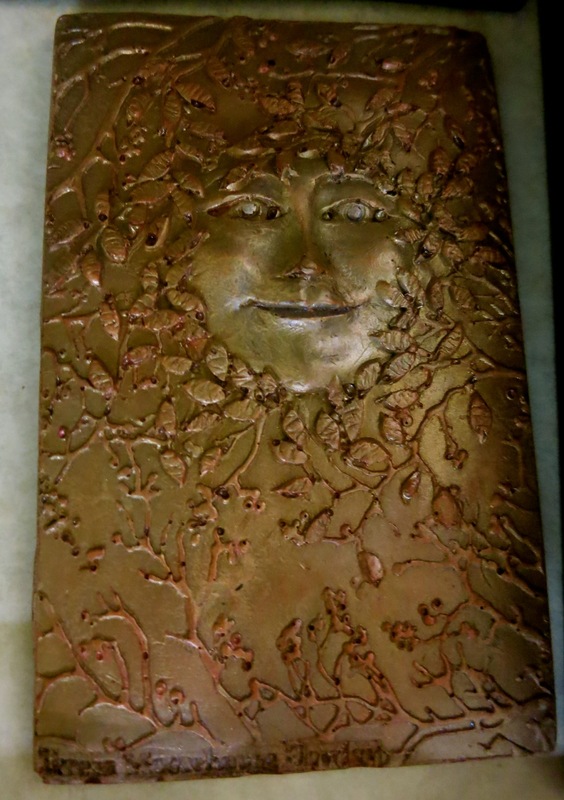 Thank you Malerie–we thoroughly enjoyed your visit to Dancing Lion Chocolate, and I’m glad you enjoyed visiting us! I’d just like to note that our bonbons range in price from $3.50 and up, and our bars start at $10, rather than $22. I’ve not yet been to the Credit Union Museum, and you’ve completely captured my interest! Great piece Malerie! We’re over 1.8 K shares on our Facebook postings here at the Millyard Museum in less than two hours! Malerie: Thanks so much for enlightening the world about this great city, and our wonderful Currier Museum of Art and our Zimmerman House. Read John Clayton’s Book, You Know you’re in New Hampshire when . . . Great read. Each page a snippet of N.H. history. Reminds us, each generation must write its own history. I’m 88. My Dad worked @ Swenson Granite, Concord. 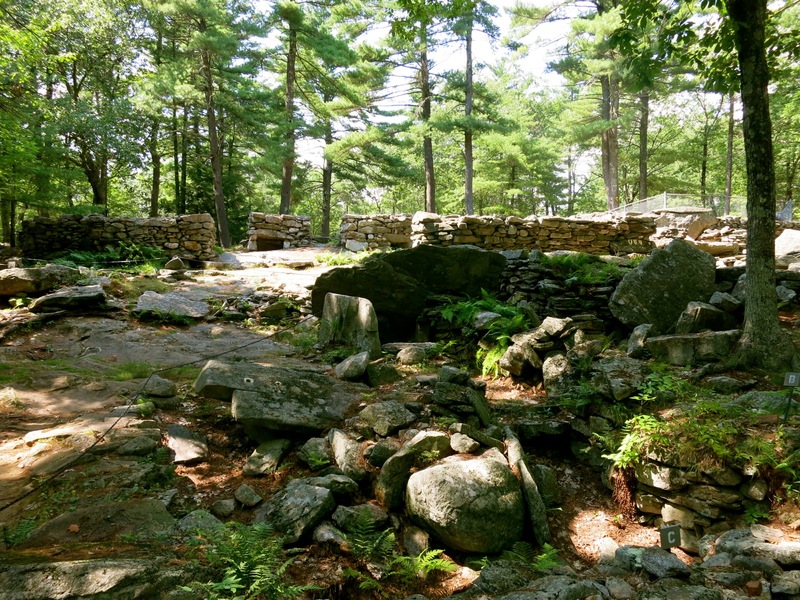 Perhaps an overlook, but no mention in the book about Head’s Brickyard, Hooksett. Millions of bricks for Manchester Mills came from Heads. Write on! Thank you for the great information and history lesson the photos are great as well.